The founder of a Hebridean island’s first gin company is aiming to establish a distillery there after securing 150 stockists around the UK within six months of launching his product. 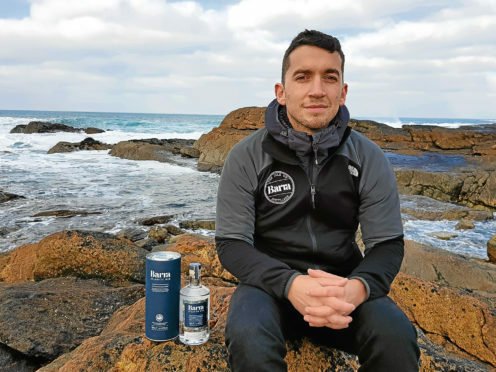 More than 20 hotels, bars and restaurants have signed up this year alone to stock Barra Atlantic Gin, which includes locally gathered algae among its 17 botanicals. Originally a furniture maker, Michael Morrison returned to his home island from Glasgow to launch the business. It employs three people full-time in a shop in Castlebay, with the spirit currently distilled in England. Mr Morrison said: “When I launched Isle of Barra Distillers last year, I knew I wanted to bring production of our gin to the island as quickly as possible, as currently we ship our botanicals to London where the gin is distilled for us. But establishing production on the island takes a lot of investment. Mr Morrison is being assisted by Business Gateway Outer Hebrides to identify potential funding for the venture.